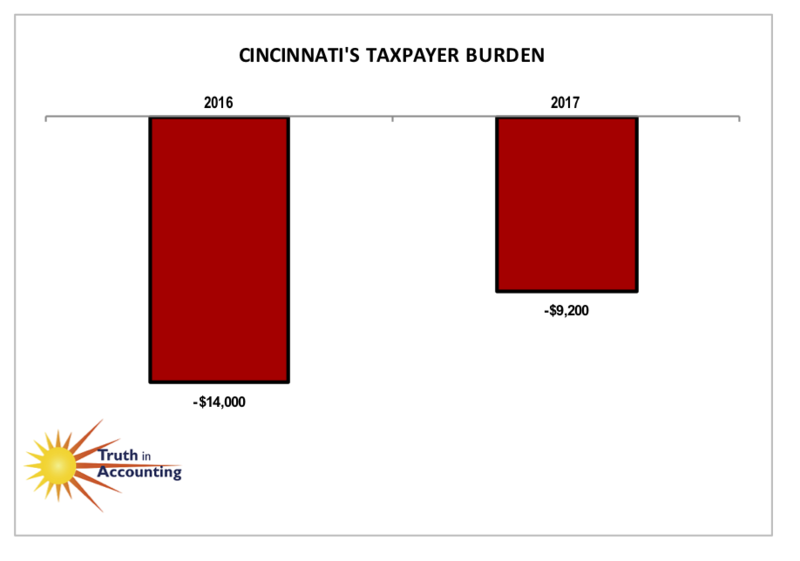 Cincinnati's Taxpayer Burden.™ is -$9,200, and received a "D" from TIA. 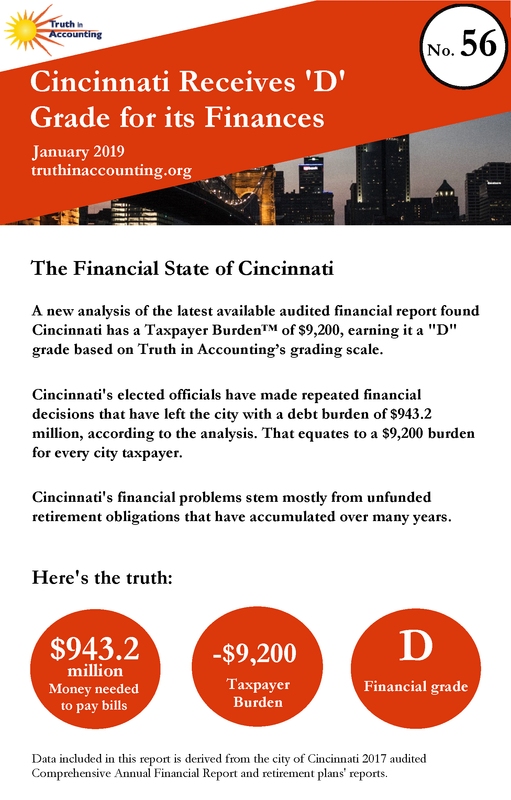 Cincinnati is a Sinkhole City without enough assets to cover its debt. Cincinnati only has $728.3 million of assets available to pay bills totaling $1.7 billion. Because Cincinnati doesn't have enough money to pay its bills, it has a $943.2 million financial hole. To erase this shortfall, each Cincinnati taxpayer would have to send $9,200 to the city. 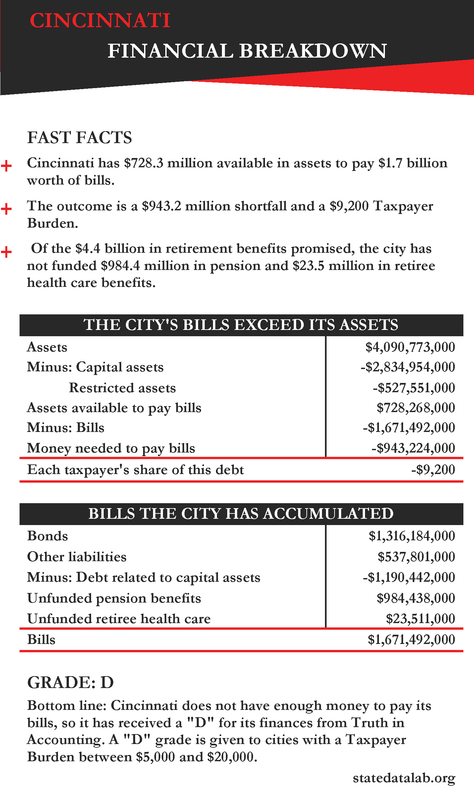 Of the $4.4 billion in retirement benefits promised, the city has not funded $984.4 million in pension and $23.5 million in retiree health care benefits. The city's financial report was released 181 days after its fiscal year end, which is considered untimely according to the 180 day standard. What would you do if your monthly credit card bills jumped more than 50 percent over 10 years? What's worse, you're nearly maxed out on those cards, because you needed to keep borrowing to keep up with expenses.